We have Flocks of goats, sheep, cattles for sale . 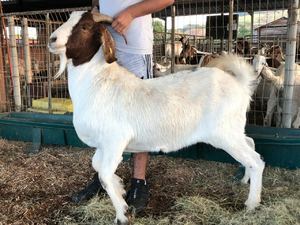 We have a good quantity of boer, angora kapaters, indigenous veld goats, and kalahari red goats for sale at different ages and prices, average grounds, pregnant and well growns . in sheep category we have in the farm all breeds ranging from merino, dohne merino, dorper, , white dorper and meat masterat different ages and prices, from lambs , average grounds, pregnant and well growns for sale. We also have cattle, bonsmara , nguni, tuli, as well as crossbreeds.